The Washington Chapter of APLD is one of the three largest chapters in the nation, the other two being California and New England. But it wasn't all that long ago that we were just a fledgling organization of one. Tina Nyce, FAPLD, founded this chapter in 1997. 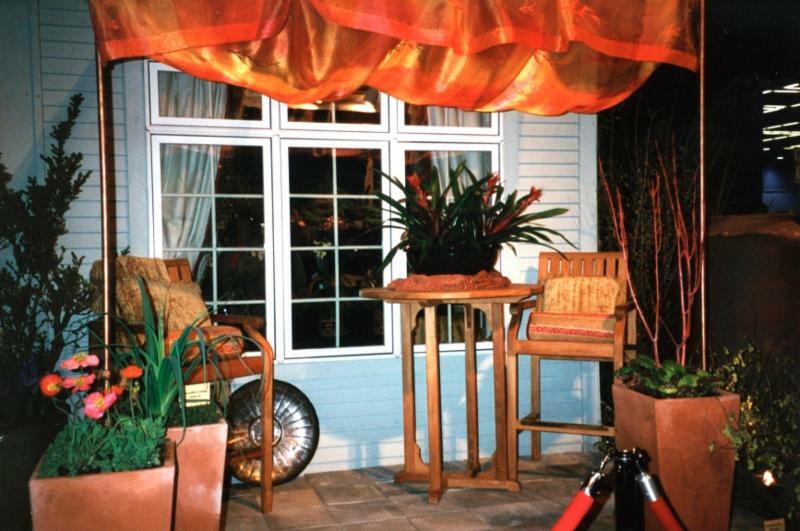 In October 1998 we hosted, at the Bellevue Botanical Garden, a traveling program, "Building for Success," with Joel Lerner - 19 people attended. 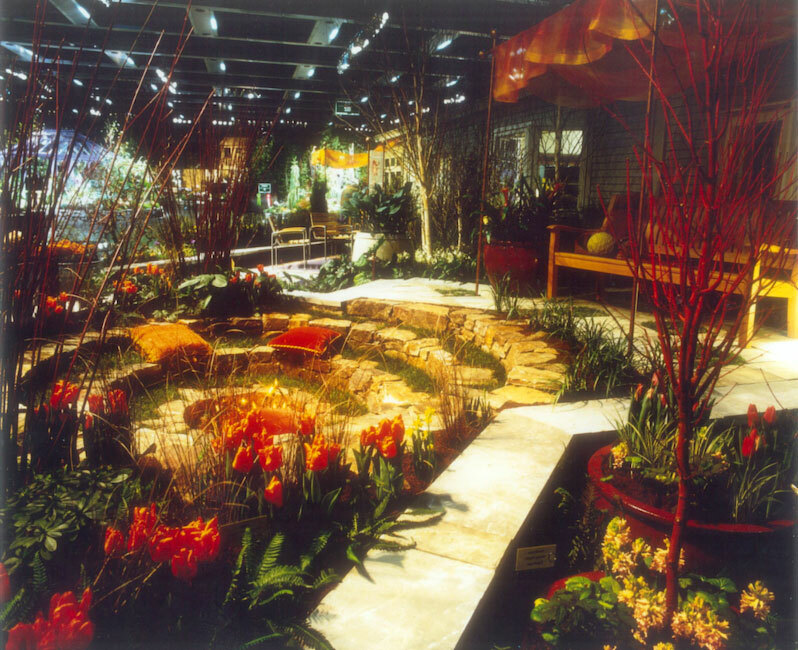 On March 18, 1999, with Tina still at the helm, we held our first meeting at the Bellevue Library and at that meeting committed to our first display garden at the 2000 Northwest Flower and Garden Show (NWFGS). In 2000 APLDWA signed an Affiliation Agreement with the National APLD organization and created our first Board. Our display garden at the NWFGS, "Hearth and Soul," won the Founder's Cup and Horticulture Magazine's Gold award. Knowing what hard work the garden show entails, this was a remarkable achievement for such a new and very small organization. Over the next several years our organization began to take shape. Membership steadily increased (in 2002, APLD had 33 members in Washington state and 23 were also members of the chapter, APLDWA), three committees were formed and a website was created. In 2005, we had a positive net income, discussed redoing the website, and were up to 41 members. In 2006, the Board began having quarterly meetings and we started using Pay Pal. In 2007, the "Landscape Architectures' Practice Act" was introduced to the Washington State Legislature. As written, this bill would have seriously limited the scope of work that we, as Landscape Designers, can legally perform. Our President at the time, Daniel Lowery, APLD, followed this bill through legislation. In 2008, APLDWA appointed Lisa Port, APLD, to be our Legislative/Advocacy Chair. Through her active involvement and persistence, the bill was revised and now includes exceptions that allow Landscape Designers to legally work. The bill became law in 2010. 2008 also was the year we hosted our first financially successful Symposium on Sustainability. We distributed a monthly newsletter via Constant Contact and held programs nearly every month of the year. Since 2010 we have had a presence at the NWFGS with either a display garden and/or consultation space, winning top awards. It has taken 17 years to build our Washington chapter of APLD. We are now 92 members strong—6 Certified, 78 Professional, and eight Students. We host monthly programs and sponsor members to attend national conferences. Our website lists all our members and their contact information for prospective clients. Our sponsorship program, begun in 2009, has grown to include eight companies across an array of specialties. To these ends, we want to thank those of you who have helped make the organization successful and encourage those of you who can to pitch in and help. We can't do it without you!